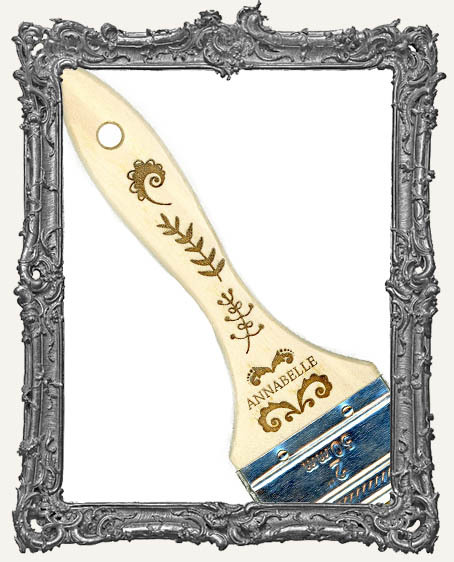 * You will get one amazing personalized engraved paint brush! * The brush measures approximately 2" wide x 7.5" long. Please note, the size and craftsmanship of the brushes may vary slightly. * Text font and capitalization will remain the same, however the font size may vary depending on the number of letters in your chosen word. * You may select ONE word to appear on your brush. The word should be no more than 10 letters. The word will appear in place of "ANNABELLE" in the sample. You can select a person's name, an inspirational word, etc. * These make incredible gifts for yourself or a friend. * There is also a hole for hanging should you choose. * Other brush styles available here. 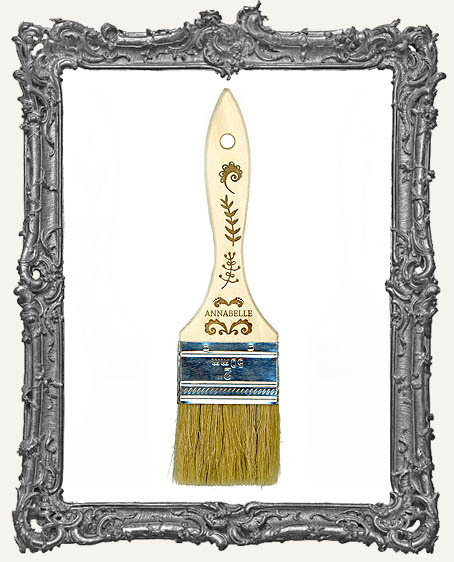 * Please allow some extra processing and shipping time for your order if including a personalized paint brush.